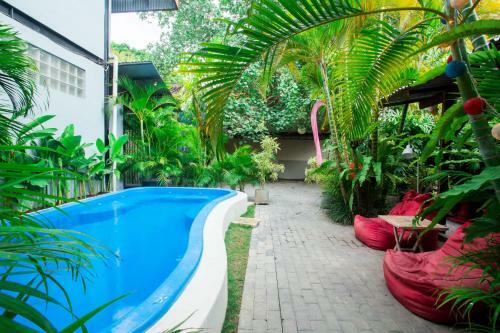 M Hostel enjoys a strategic location in the centre of vibrant Seminyak, steps away from the area's shopping and dining options. Jl. Petitenget No 8M, Kerobokan, Bali – Indonesia. T: +62 361 4734142. E: info@ mboutiquehostel.com. © 2015 by M Boutique Hostel. All rights reserved.